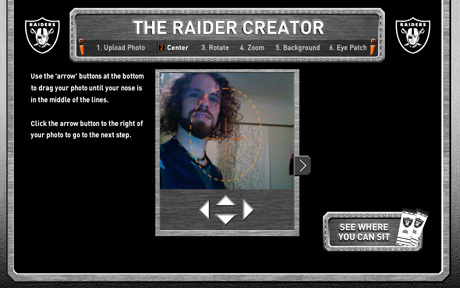 The Raider Creator is a concept I pitched during my interview at Swirl Integrated Media and built once I was hired. I saw the brainstorm session a la idea cards on the wall in the room I was interviewing in, and after I inquired they told me their client’s problem : The client, The Oakland Raiders, has developed a very wild brand identity based on the look of their fans and would like their brand to be more accessible to more people. 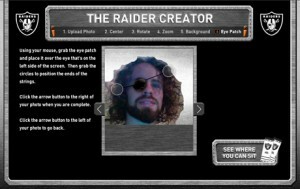 The final project was a site any user could upload a picture to (.jpg or .png), reposition, rotate, and zoom it, paintbrush out the background, and add an eyepatch and position each string, to create an image of any person as a “Raider” with the slogan “THERE’S A LITTLE RAIDER IN ALL OF US.” This image could then be downloaded, or added to a variety of swag for purchase (coffee cups, mouse pads, etc.) and we even chose a daily winner who, with their permission, would be displayed on the LED billboard above the Bay Bridge. Front end Flash Actionscript, back end PHP. 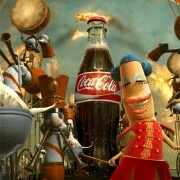 The Coke Happiness Factory was a colossal international award winning campaign I took part in producing during my time in NYC. 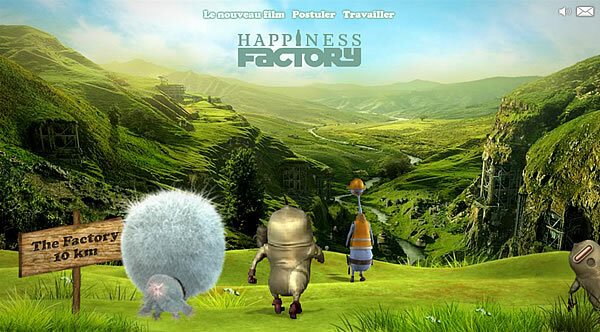 It included several television spots depicting a universe inside of Coke vending machines, several video games I helped develop that took place within that world, and was translated into over a dozen languages, which we helped dynamically localize. While the main hub is not still active, remnants from the project can still be found.